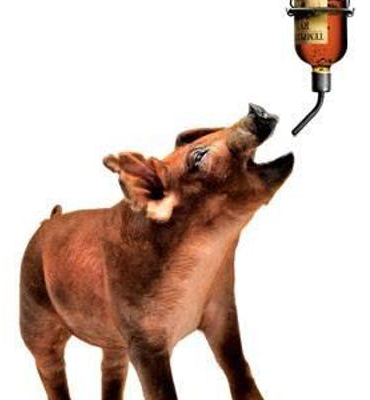 Third Annual Pig Roast and Bourbon Bash! On Saturday, October 6th – for the third year in a row – we’ll celebrate a couple of our favorite indulgences of the fall and winter season: Roast pig and bourbon! This event will be sponsored by Sam Adams and Maker’s Mark. We cordially invite you to indulge with us! This decadent affair will run all afternoon from 12:00pm-4:00pm. Tickets start at just $29 and go up as we get closer to the event. Each ticket includes all the roast pig you can eat, as well as Chefs Mike, Chris, and Jeremy’s creative side dishes, plus several tastings (3 drink tickets per person) of select bourbons, beer, and wine. Our chefs have worked hard to come up with an amazing menu for this event: Two whole roast pigs, veggie skewers, baked beans, corn on the cob, corn bread, cole slaw, pasta salad, mac n’ cheese, at least four homemade BBQ sauces, candied yams, collard greens, and more! Tickets are available for pre-purchase using the link above or at www.barleymacva.com, and this is a limited event. Purchase sooner rather than later to secure your spot. Look forward to eating, toasting, and more with you on the 6th! This is usually a sell-out event for us, so grab your tickets asap! Most importantly, come hungry and thirsty! DISCLAIMER: All sales final – no refunds!